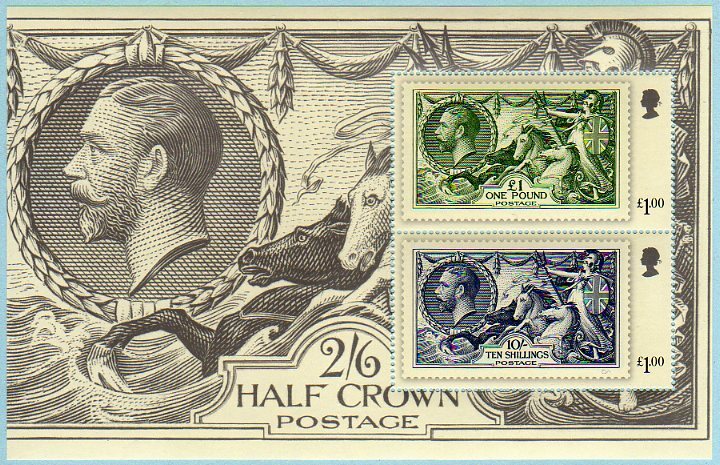 Our supplies of stamps etc for the May Festival of Stamps are starting to arrive from Royal Mail, and are bringing some surprises with them. 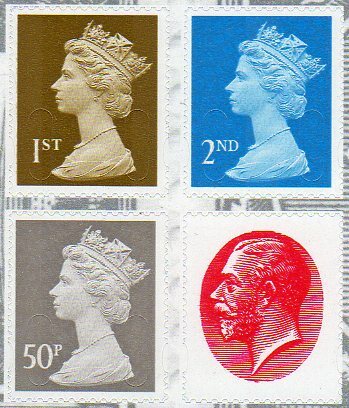 The colour of the 1st class double-head stamp is not 'flame-orange' as originally described, and as pictured on the Stamp Cards, the colours of the PSB panes are different, and the PSB panes are guillotined into the designs (as we were told they would not be). The one non-surprise so far is the predicted security codes on the PSB Machin pane. 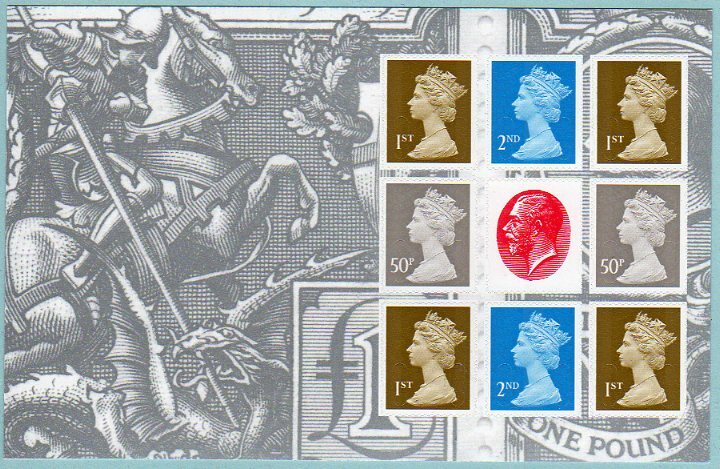 You will recall earlier pictures of the new 1st class double-head 'flame-orange' stamp: the later image of the full sheet being quite different in shade to the publicity photos of the single stamp. Well we don't have the single stamps yet but we do have the miniature sheet. 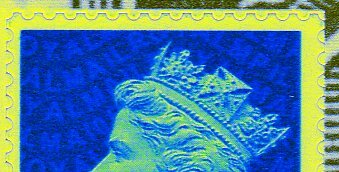 As you can see from this scan of the actual sheet, the colour is very similar to that of the 'whole sheet' image shown above, and totally different to the publicity image and the Stamp Cards (see below). The publicity image for the Machin pane is probably closest to the actual thing, with the background printed silver on white. The perforations are as usual, with two holes beloe the elliptical hole. As predicted these new self-adhesive stamps have security features (uninterrupted cuts of type I as on sheet stamps), security code MPIL (for prestige book) at top right, and MA10 (for 2010) to the left of the forehead. There are no extension holes to the perforations as shown in the publicity images for panes 1 & 2. Plans, intentions, publicity, marketing and reality. Mock-ups are just that - we shouldn't put too much reliance on them actually showing how the stamps/panes will turn out in reality. 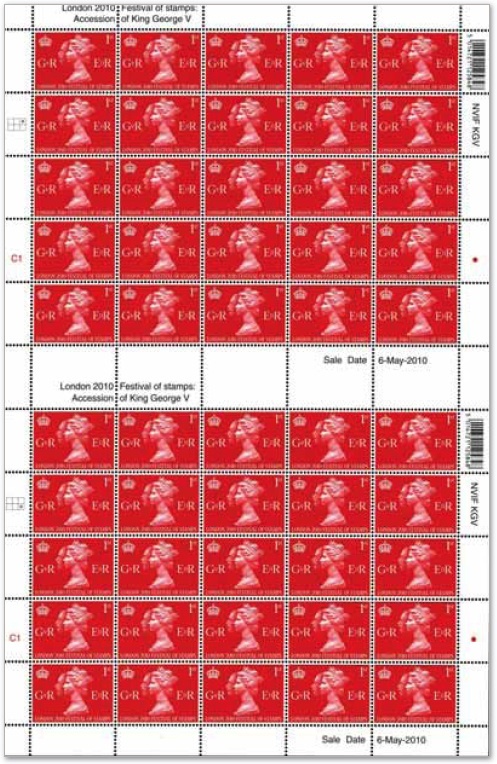 To be fair, Royal Mail always say that they are working images - in the 6-12 months before they are actually issued - but is it too much to hope that the images and descriptions in their own Philatelic Bulletins might be accurate as soon as the stamps have been approved and printed? 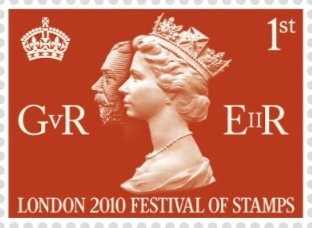 The colour of the 1st class double-head stamp maybe is Red as 1p - 1935 Silver Jubilee (SG 454). You are right: 1d is not 1p! In my eye, the "orangé" (French for more red than orange while oranger than red) was very appealing and modern. 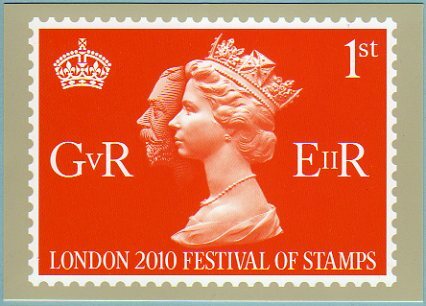 The red version is more dated and is more connected to the main definitive stamps of KG5 era. 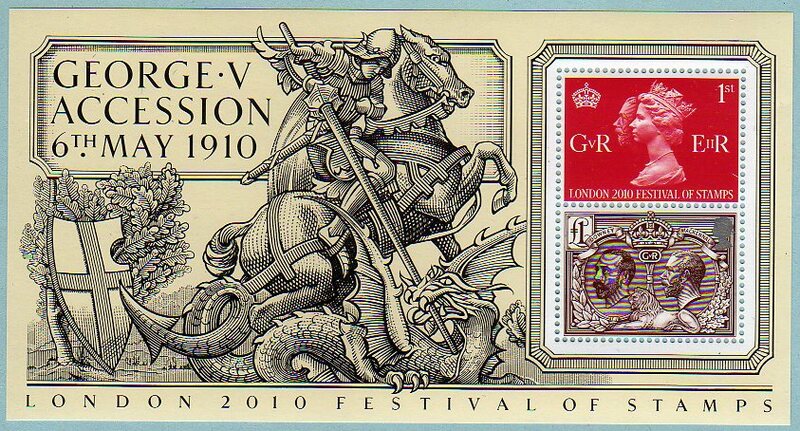 Still, I can get the postcard at London 2010. Thanks for sharing all this with us, Ian.